WELCOME TO DAY 8 OF MY 12 DAYS OF CHRISTMAS DECORATING, CRAFT AND GIFT IDEA CHALLENGE. What do Roseanne Cash, Janie Fricke and Tina Turner (vinyl LP)have in common in my household?? 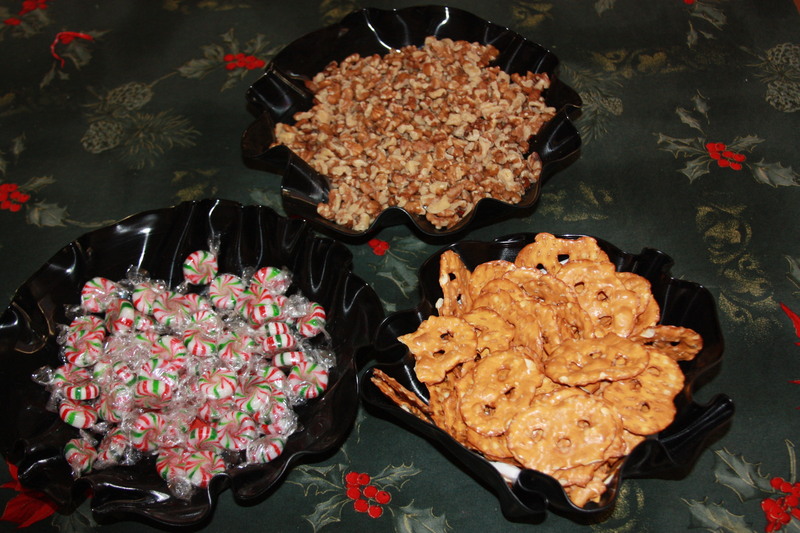 They became serving bowls for some of my christmas goodies!!! 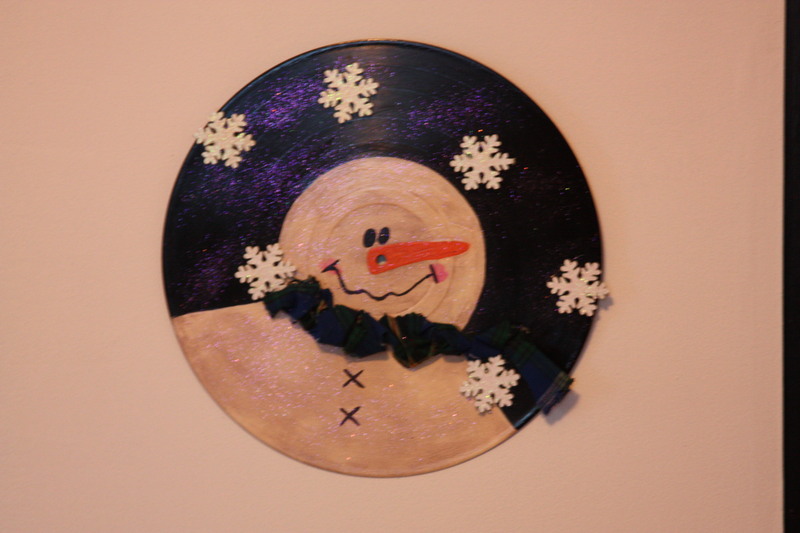 Remember the vinyl records I picked up at the “Use it or Lose it” event (I’ve mentioned a few times before…) one of them turned into my Vinyl Snowman wall hanging (see below) and three more became serving bowls. 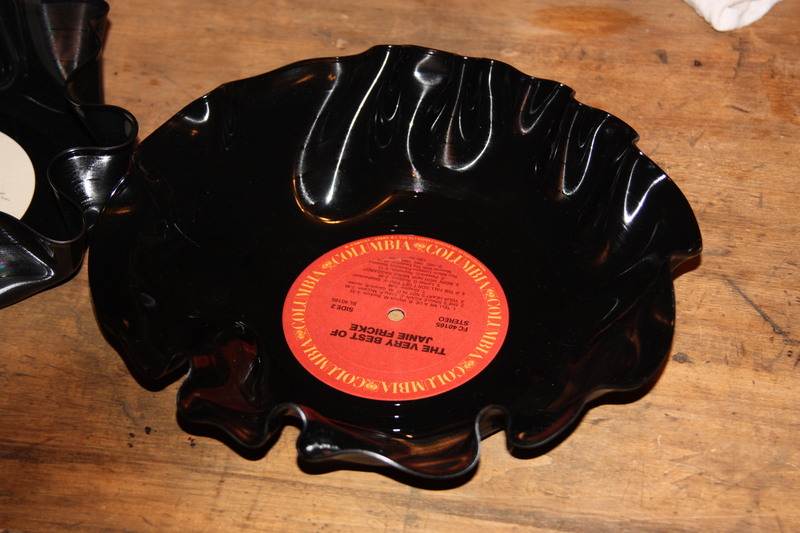 There are lots of tutorials on-line to melt vinyl LP records into various objects. Here is a link to the one I used and pretty much followed it to the letter. As you can see in the last picture above, I was getting a bit silly (I must have been tired) and was trying to figure out what else I could use them for, a hat, a mask perhaps??? Be sure to wipe out the vinyl bowl and line it with a napkin or paper towel before putting unwrapped food in it. This entry was posted in Decorate, DIY and tagged bowl, challenge, Challenges, Christmas, Crafts, crafts, Decorate, DIY, easy, food, oven, repurpose, reuse, vinyl. Bookmark the permalink.